Nearly 70% of all event speakers are men, according to a report by event management startup Bizzabo Inc. published Thursday. The report analyzed the gender diversity of more than 60,000 event speakers in 23 countries over a five-year period, from 2013 to 2018. The company used facial recognition artificial intelligence technologies to categorize the gender of panelists. Bizzabo develops an online event management platform. Founded in 2011 in Israel, the company has raised more than $26.5 million to date, according to Pitchbook data. The company lists WeWork, GitHub and EA Sports as customers. In analyzing gender distribution across speakers by type of events, technology-related events fared lowest in terms of gender balance, according to the report. Three-quarters of computer software event speakers identified as male and only 25 percent as female. Only 20% of IT services panelists were female. Higher education was the most gender-balanced with 44% of speakers being female. The most gender-balanced type of events were fundraisers, galas and social gatherings. The least diverse event types were meetings, conferences, and conventions. The country with the highest percentage of female panelists was Kenya, at 42 percent female versus 58 percent male, according to the report. The U.S. came in third, with 35 percent of its speakers identifying as female versus 65 percent male. In Canada, 32 percent of all speakers were female, and 68 percent were male. 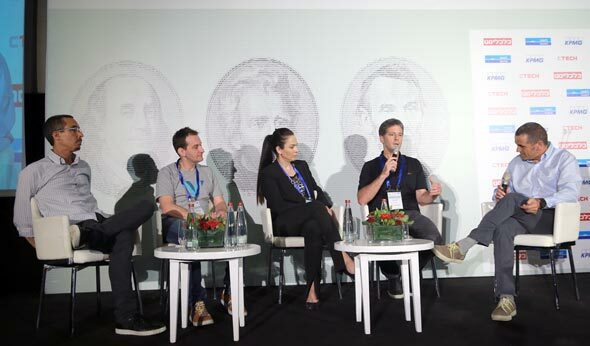 Israel came in seventh out of 23 countries, with 28% of event panelists being female. The United Kingdom came in 8th, with 75 percent of its speakers being male. Of the 23 countries examined, Poland came in last, with only 10 percent of speakers identifying as female. Belgium and Portugal trailed closely behind.